Happy Holidays Citizen Brides and Grooms! We can't believe that we just celebrated our 4th Anniversary here at The Citizen and want to thank each and every one of you that let us share in your celebrations this year. Katie & Travis were just one of the couples that we were honored to work with in 2012 and we were so excited to stumble across their fun photos on their photographer's blog. We love discovering new wedding vendors and sharing their incredible work here with you! 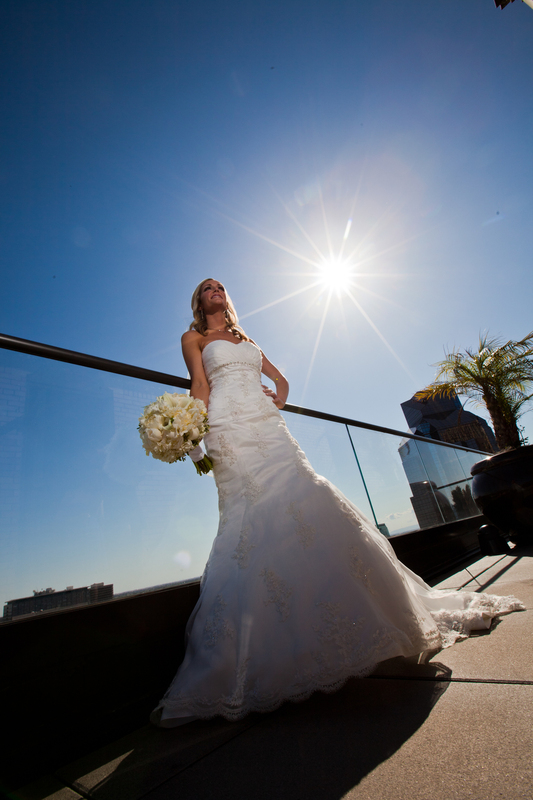 So, if you're still looking for a photographer for your wedding or event, put Ryan Greenleaf on your list to check out. We think you'll like what he does. Katie & Travis were married on Sunday, May 27th on the Metropolitan Terrace, followed by cocktail hour in the Scandal Bar and dinner and dancing back on the Terrace. We just loved the blue and yellow color scheme and that gorgeous cake!